Gone are the days of the notion that freelancing is synonymous with unemployment. Flexibility associated with freelancing is being embraced in working environments around the world. The opportunities this kind of demand opens up are colossal. If you possess the necessary talents required to create websites for clients, you have the chance to build an extensive freelance customer base in no time. Why should you also learn user experience design skills? Being able to build a website is one thing, but it’s an entirely different art to make sure that a user is able to pleasantly interact with your website. This is where user experience design (UX) comes in. 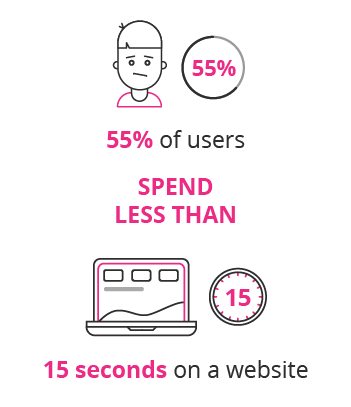 In a world where 55% of users spend less than 15 seconds on a website6, freelance consultants who can assess and improve the usability of a business’s site are a hot commodity. Get the foundational coding knowledge required to build websites with an online short course in web design from UCT, or learn how to successfully craft an enjoyable browsing experience with the UCT User Experience Design online short course. Graphic design is the art of laying out and combining images, text and other media to create anything from email templates to packaging to brand collateral. Any organisation that wants to be remembered needs to practice solid graphic design. Why should you learn graphic design and visual communication skills? 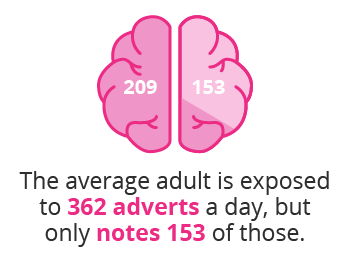 The average adult is exposed to 362 adverts a day, but only notes 153 of those.7 With so much noise in people’s daily lives, it’s easy for things to get drowned out or glossed over. Graphic design plays a role in helping a brand get noticed and remembered. If you can provide people with appropriate and memorable design services, you’ll be able to get freelance work from all corners of the world. Learn how to produce aesthetically sound work and handle Adobe Illustrator with confidence. Digital photography and a sound knowledge of Photoshop can unlock the full potential of your camera to deliver professional and contextually relevant images with every shot. Why should you learn digital photography and Photoshop skills? With 67,000 photos uploaded every minute to Instagram alone, there’s a great deal of visual noise to cut through.8 It’s a constant challenge to create images that are both memorable and brand specific. From large corporate events, special occasions, and professional photoshoots, to getting your work published – countless freelance opportunities exist out there for aspiring photographers. Good bookkeeping and accounting practices are vital to keeping a business running smoothly and efficiently, especially as a small venture grows in size. Why should you learn accounting and bookkeeping skills? Any business that earns money needs financial management to be done, and to have it done right. Whether people are trying to ensure they avoid big surprises during an audit, or they just want to make sure they realise their financial dreams, accountants and bookkeepers are vital cogs in any machine. With the right online accounting course you can elevate your accounting skills and expand your freelance portfolio. The UCT Accounting online short course is one example of how you can study accounting online to manage fiance-related aspects of any organisation. Saving clients money and time by managing their income, expenditure and inventory is invaluable. Mastering these skills is a sure-fire way to use freelancing to increase your own income. Content creation is fast becoming the only way to market to a world that is jaded by traditional advertising. And writing is the most effective way to create this content. Why should you learn writing and content creation skills? Consumers are bored of relentlessly being sold “stuff”, with 74% of Generation Z and Millennials tired of being social ad targets.9 Content marketing takes the selling process down a different, less pushy road. It provides people with valuable information they need, steadily nurturing the relationship between them and a brand. Being able to successfully market a brand or product without making people feel like they’re being marketed to takes a certain amount of finesse. Having these skills in your repertoire will enable you to stand out in any freelance space. Search engine optimisation (SEO) is necessary to ensure that a website ranks as high as possible on the list of a search engine’s results page. Why should you learn SEO skills? 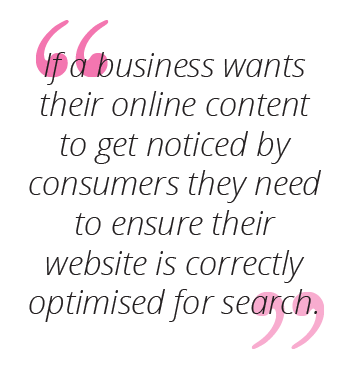 Almost nobody goes to the second page of Google’s search results, with 91.5% of clicks coming from the first page, and 32.5% of traffic going to the first result.10 If a business wants their online content to get noticed by consumers they need to ensure their website is correctly optimised for search. And practicing unethical SEO techniques will lead to a site getting blacklisted by search engines. The guarantee of increased exposure through getting listed higher in relevant search results is something that every business owner needs. Being able to give them exactly that will make you an invaluable freelance worker to countless clients. In our ever-connected age, a consumer’s interaction with an organisation via social media and in the online space is more important than ever. Digital marketing and social media management are how brands stay on top of customer compliments and complaints. Why should you learn digital marketing and social media marketing training and skills? 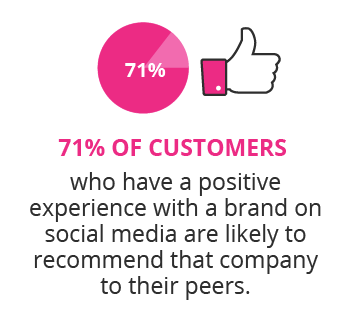 71% of customers who have a positive experience with a brand on social media are likely to recommend that company to their peers.11 Maintaining strong, customer-friendly social and online profiles is a key exercise for any business. Do you excel at using your spare time to interact and engage with people online in order to build a positive image for a brand? If so, there’s a world of opportunity waiting for you in digital marketing and social media spheres. The need for companies to hire compliance professionals is on the rise as legislation becomes stricter and the risks and dangers a company may face need to be avoided before they’re corrected. Compliance consulting is needed for organisations across all sectors to stay on the right side of the law and keep the ethical integrity of a company intact. As a business grows in size their transactions, workforce and risk factors grow with them. All of these need to be handled in a legally-compliant manner to lower the risk of litigation. Why should compliance managers continually update their knowledge and skills? An informative compliance course is needed if a compliance manager wants to maintain a competitive edge as a compliance officer, or if you’re hoping to set yourself apart as you break into the compliance management industry. Providing clients with sound legal advice and helping them avoid any non-compliant practices is an invaluable service. Offering this kind of assistance will give you ample opportunities to expand your freelance business as a compliance officer. Ready to become an expert freelancer in your field? Study an online short course today.